Happy New Year, Friends and welcome back to my blog! December is always hard to stay committed to posting frequently because December is a month of Christmas Chaos. 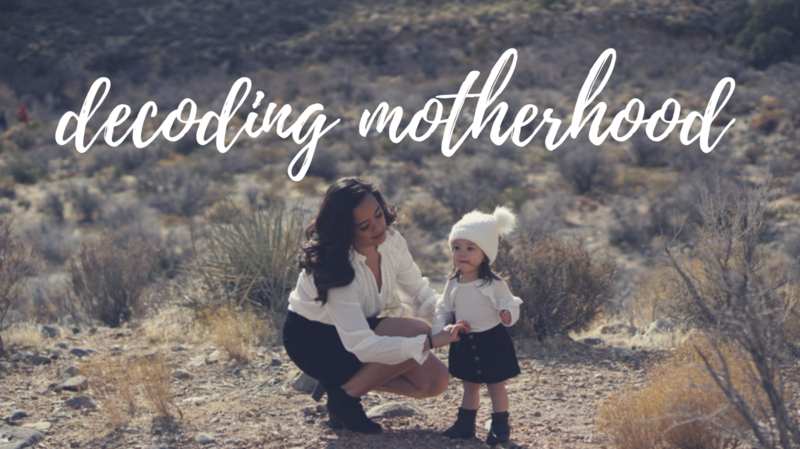 The last few months have been challenging with me being out of work and adjusting to SAHM life, but I promise I’m going to try to stay committed to posting more frequently. I was looking back at my blog at the beginning of 2018 and found my 2018 goals. I think it’s safe to say that I nailed about 80% of the goals I set for myself last year and hope that my goals this year can live up to last years. Be more present with my daughter’s growth & development. Focus on my Blog & Social Media. More Quality Time with my Husband. Be the Best Version of Myself I can be. This year is a new year which means it’s a chance for new opportunities and growth. I’m sure it won’t be easy, but it’ll be worth it at the end of the year. Put my cookbooks to use. I’m 30 and sometimes I feel like I’m not good enough as a housewife or mother. Our dinners usually consist of some type of protein, rice, and veggies or pasta. This year I really want to step up my kitchen game and really enjoy cooking a nice home cooked meal a few times a week. Collaborate with more brands. Last year I had the opportunity to work with some great brands and this year I’d like to continue down that path and work with more brands! Interior Design. This is something that I’ve always loved and now that I have my own home, I need to take better care of it and start making it feel like home. The living room and kitchen is a year round project with frames and wall decor constantly changing, but the second floor needs some TLC. I’d love to do a laundry room makeover, redesign Rylee’s room so it’s functional, and our master bedroom.. We’ve begun our room, but it’s time to start hanging things on the wall and adding those touches that really make it feel like a master bedroom. Find a hobby and stick to it. So far it’s been crafting with my Cricut maker.. Seriously, I love it so much. I’ve had my Cricut for 3 years and the last few months were really the first time I’ve put it to use. I’d like to continue using it, getting better at it, and then selling whatever I make. Continue to teach Rylee anything and everything. This year she’ll be turning 2 which is bizarre to think! Our goals for her is ever-changing and this year we want to continue teaching her sign language, help her develop more motor skills, and encourage her to be independent. She’s nearing 18 months and the separation anxiety is something we need to work on more. Hang out with friends. Last year was a great year of friendships and hanging out with people, but this year I’d like to make more of an effort to see more of our friends and not just once every few months.. I want to do more play dates, double dates, book club happy hours, etc..
Take more pictures with our families. This one is really important to me. I was looking through my camera roll and realized that I don’t have a lot of pictures with my mom or dad or my in-laws, aunties, uncles, cousins, etc. I want to do a better job of taking more pictures with them because even if I have my own family to take pictures with/of, I still think it’s important to have those snapshots of those you love. Continue to improve my social media presence. I want to engage more with my followers, get to know more about you, take my time in posting relatable content, improve my picture skills, and be more creative. The online community is such a great place for support and resources! Cheers to new goals, resolutions, and bettering ourselves in every way possible! If you haven’t already, please subscribe to my blog so you don’t miss any future posts!